WooCommerce Homestore Theme: A storefront child theme for webshops selling homeware goods. Give your home decor or department store a design to match its ambition with Homestore! 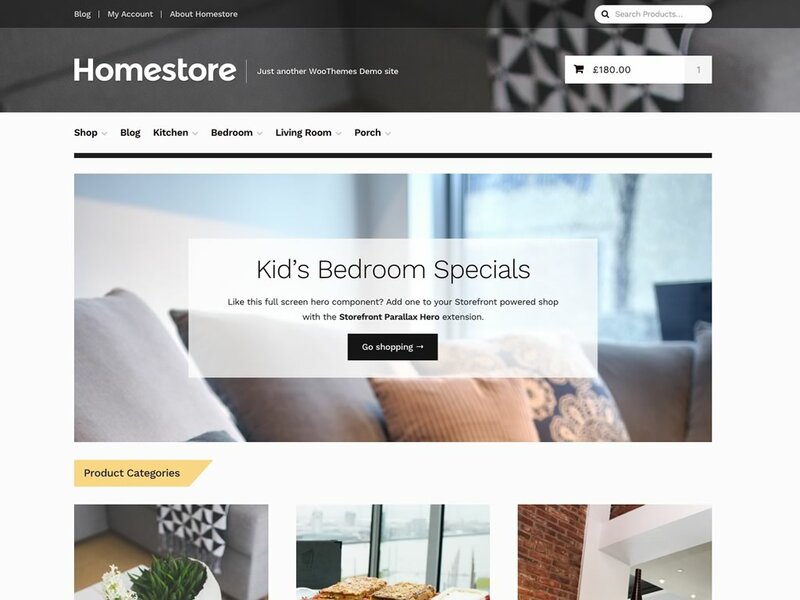 Homestore is a Storefront Child Theme showcasing a design that has taken inspiration from popular department stores across the web. Its clean and simple with a clear page structure and visual hierarchy that will help users shop more efficiently. Homestore is built on the robust Storefront core parent theme that you know and love. This means you’ll always enjoy 100% compatibility with the latest versions of WooCommerce and various customer-facing WooCommerce extensions.